The neighborhood around the Higgins Service Station was very different before construction of the monumental Kennedy Center and Watergate Hotel complex, dominated by industrial buildings. 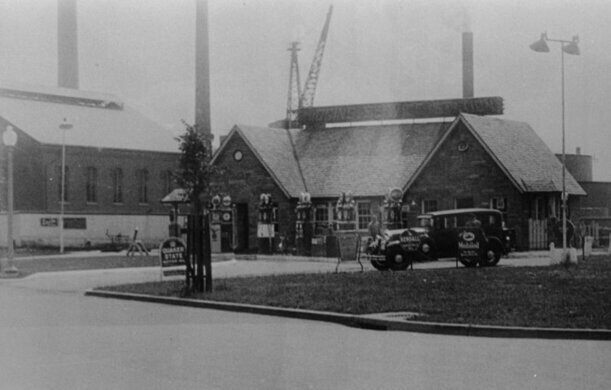 Ownership of the Higgins Service Station passed through three families until it was swallowed up by Exxon sometime after 1992. 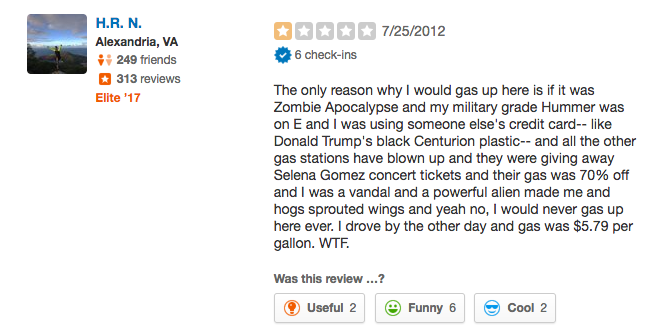 There is another interesting story about the modern gas station and how it acquired a nationally known, horrible reputation. According to Freakonomics, “There’s a gas station near the Watergate Hotel in Washington, D.C. that famously sells very expensive gas. 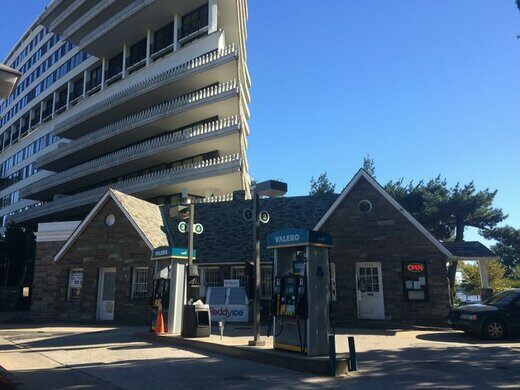 Reporters flock there for the standard sky-high gas price story, and residents have long suspected that the station doesn’t actually want to sell gas.” It used to be known for charging 50 cents to a dollar more per gallon than the Sunoco station directly across the street.